ONLY AT SAKS. 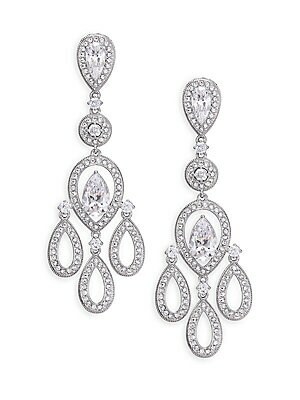 A beautiful and elegant pair of chandelier earrings. 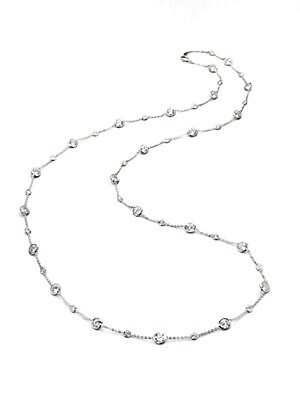 Cubic zirconia Crystals Rhodium-plated brass Post back Imported SIZE Drop, about 2.375" Width, about 0.5". Fashion Jewelry - Adriana Orsini. Adriana Orsini. Color: Silver. ONLY AT SAKS. 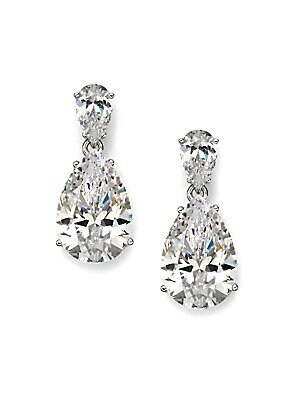 A breathtaking pear shaped drop earring in cubic zirconia. 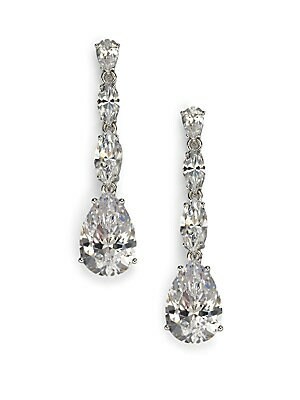 Cubic zirconia Rhodium plated sterling silver Length, about 1" Width, about ½" Post and clutch backs Imported. Fashion Jewelry - Adriana Orsini. Adriana Orsini. Color: Clear. ONLY AT SAKS. 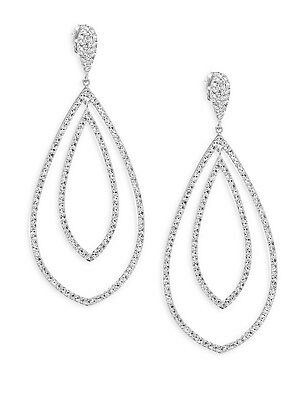 A dazzling rhodium-plated piece in a pretty teardrop shape. Brass Drop, about 2¼" Post clutch back Imported. Fashion Jewelry - Adriana Orsini. Adriana Orsini. Color: Silver. ONLY AT SAKS. 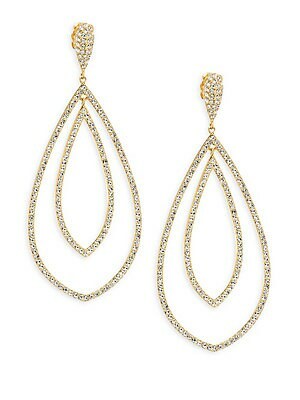 Add some drama to your look with these shimmering drop earrings. Crystals 18K yellow goldplated Post back Imported SIZE Drop, about 2.375" Width, about 1". Fashion Jewelry - Adriana Orsini. Adriana Orsini. Color: Yellow Gold. ONLY AT SAKS. 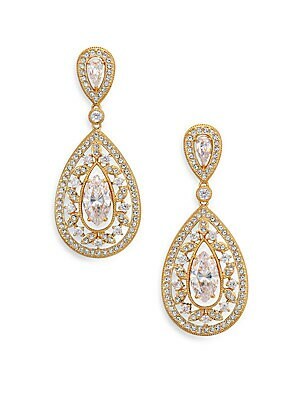 Add some drama to your look with these shimmering drop earrings. 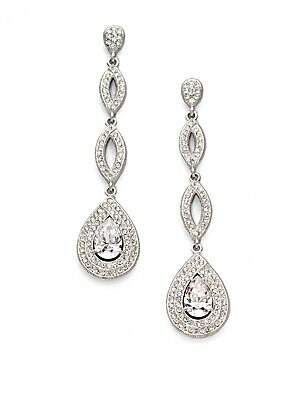 Crystals Rhodium-plated brass Post back Imported SIZE Drop, about 0.375" Width, about 0.5". Fashion Jewelry - Adriana Orsini. Adriana Orsini. Color: Silver. ONLY AT SAKS. 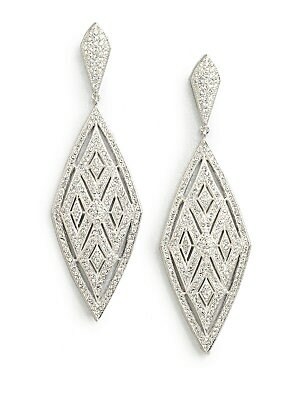 A geometric, yet feminine design accented in pavé crystals. 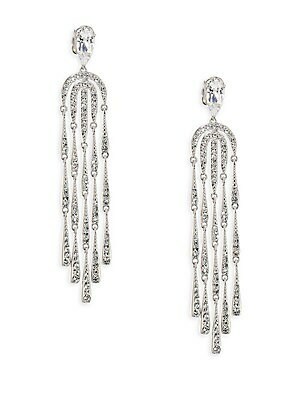 Crystals Rhodium-plated brass Drop, about 2.75" Post back Imported. Fashion Jewelry - Adriana Orsini. Adriana Orsini. Color: Silver.